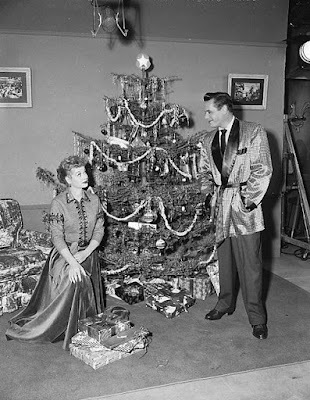 This week's holiday offerings include an I Love Lucy Christmas special starring Lucille Ball and Desi Arnaz. This week, we've entered the holiday viewing homestretch. A lot of Christmas favorites that were aired earlier in the month are being repeated for the last time, but there are also some new shows like TCM host Robert Osborne's Christmas Eve picks and an I Love Lucy Christmas special. Just a note: the highlighted text has links to full-length articles. White Christmas, 9:45 a.m. on AMC: This classic musical about a struggling inn in Vermont features Bing Crosby, Danny Kaye, Rosemary Clooney, and Vera-Ellen performing Irving Berlin tunes like "Count Your Blessings (Instead of Sheep)" and the title song. This movie will be repeated at 12:15 p.m. Thursday. A Christmas Carol, 12:30 p.m. on AMC: This 1984 adaptation of Charles Dickens' classic tale features George C. Scott as the miserly Ebenezer Scrooge. He is surrounded by a great cast of character actors, including Frank Finlay as the ghost of Jacob Marley and Roger Rees as Scrooge's nephew, Fred. This movie will be repeated at 2:30 p.m. Wednesday. Period of Adjustment, 4 p.m. on TCM: This 1962 adaptation of Tennessee Williams' play features Jane Fonda and Jim Hutton as a newlywed couple who are having marriage problems on Christmas Eve. Miracle on 34th Street, 8 p.m. & 10:15 p.m. on AMC: AMC is airing the original 1947 film about a young girl's (Natalie Wood) encounter with the real Kris Kringle (Edmund Gwenn) after her mother (Maureen O'Hara) hires him to play Santa Claus in the Macy's Thanksgiving Day Parade. This movie will be repeated at 10 a.m. Thursday. The Judy Garland Show, 8 p.m. on getTV: Garland's Christmas special features her talented children Liza Minnelli and Lorna and Joey Luft, and Mel Torme performing his signature tune, "A Christmas Song." Christmas With the King Family, 9 p.m. on getTV: The King Sisters were a popular sixties quartet, and this 1967 holiday special features the sisters and their families singing standards like "White Christmas" and "I'll Be Home for Christmas." Merv's Christmas With the Kids, 10 p.m. on getTV: This 1973 Christmas special from The Merv Griffin Show features the legendary host with several child stars, including The Waltons regulars Mary Elizabeth McDonough (Erin Walton) and Eric Scott (Ben Walton). Desk Set, 8 p.m. on TCM: This romantic comedy about a fictional television network is one of Spencer Tracy and Katharine Hepburn's most delightful movies. Desk Set features Hepburn as a reference librarian who is afraid that a new-fangled computer installed by Tracy will take away her job. Desk Set takes place during the holiday season and features an uproarious office Christmas party with a tipsy Hepburn in great form. Ben-Hur, 6:30 a.m. on TCM: The all-star 1959 version of Lew Wallace's classic novel begins with a beautiful nativity scene. I Love Lucy Christmas, 8 p.m. on CBS: This holiday special features the Ricardo's and the Mertz's celebrating Christmas while reminiscing about the birth of Little Ricky. Happy Holidays With Bing and Frank, 8 p.m. on TCM: Ol' Blue Eyes and Mr. Crosby croon holiday songs in this 1957 special. The Perry Como Christmas Show, 8 p.m. on getTV: This 1974 show features special guests The Carpenters, figure skater Peggy Fleming, and comedian Rich Little. The Danny Kaye Show, 9 p.m on getTV: This 1966 Christmas show features special appearances by Peggy Lee and Wayne Newton, and Kaye show regulars Joyce Van Patten and Harvey Korman. Mitzi Gaynor Christmas Show, 10 p.m. on getTV: This 1967 holiday special features song-and-dance lady Gaynor performing live at Kraft Music Hall in New York City with special guests Ed McMahon, Cyril Ritchard, and Tony Tanner. Bush Christmas, 5:15 a.m. on TCM: This 1947 Australian film follows a group of children who set out to catch some horse thieves in the Outback. This movie was filmed on location in the Blue Mountains and Burragorang Valley. 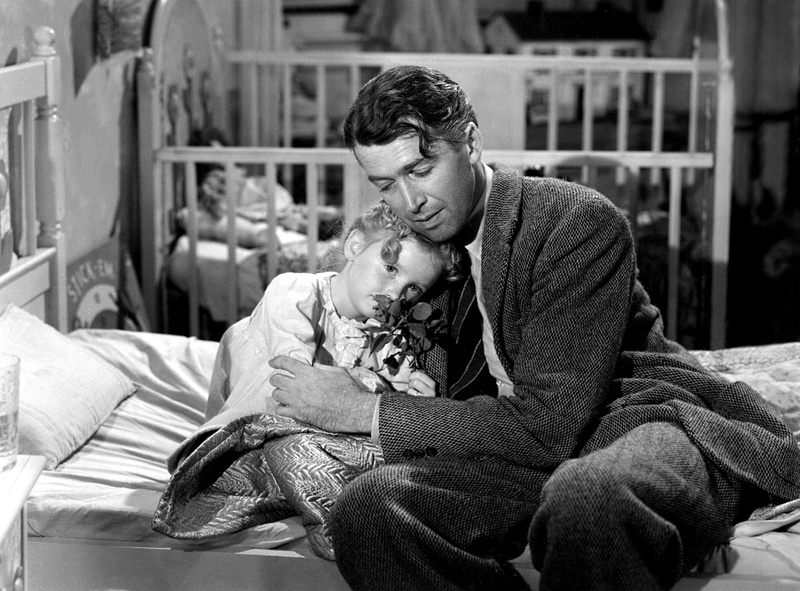 Karolyn Grimes and James Stewart in It's a Wonderful Life (1946). A Night at the Movies: Merry Christmas!, 8:15 a.m. on TCM: This 2011 documentary traces the history of Christmas movies through film clips and interviews. A Christmas Carol, 9:15 a.m. on TCM: This 1938 adaptation of English writer Charles Dickens' classic Christmas story features Reginald Owen as skinflint Ebenezer Scrooge and Gene Lockhart as his longsuffering employee, Bob Cratchit. Bachelor Mother, 10:30 a.m. on TCM: This fun romantic comedy starring Ginger Rogers and David Niven features Rogers as a department store clerk who finds a baby that everyone, including her boss (Niven), thinks is hers. This movie will be repeated at 10:15 p.m. on Friday. Meet John Doe, noon on TCM: Director Frank Capra's 1941 holiday classic is a timely social commentary about media manipulation and political chicanery starring Barbara Stanwyck as a newspaper reporter who makes hobo Gary Cooper into a populist hero during the Christmas season. Christmas Variety Show Marathon, noon on getTV: The nostalgia station begins a 24-hour marathon of Christmas themed variety shows starring Sonny and Cher, Bing Crosby, Judy Garland, and more. Christmas in Connecticut, 2:15 p.m. on TCM: Barbara Stanwyck plays a homemaking columnist for a ladies' magazine who must bluff her way through a Christmas weekend in the country to please her demanding editor (Sydney Greenstreet). 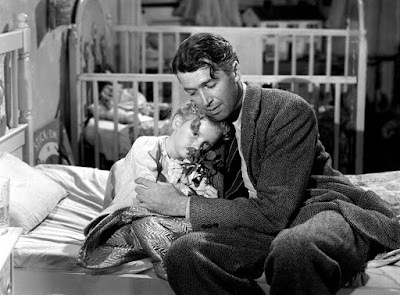 This movie has become a real holiday favorite in recent years thanks to frequent showings on TCM. Holiday Affair, 4:15 p.m. on TCM: This 1949 romantic comedy features Janet Leigh as a young woman who must choose between boring businessman Wendell Corey and charismatic ne'er do well Robert Mitchum (It really isn't much of a contest, is it?). Meet Me in St. Louis, 6 p.m. on TCM: This Vincente Minnelli-directed film about a middle-class family's life in turn of the century St. Louis is one of greatest of MGM's musicals. Judy Garland introduced the holiday standard, "Have Yourself a Merry Little Christmas" in this movie. A Christmas Story marathon, 8 p.m. on TBS: Get out your Red Ryder BB gun, it's time to spend 24 hours with Ralphie and his family in this nostalgia packed movie about growing up in the 1940's. A Charlie Brown Christmas, 8 p.m. on ABC: Charles Schulz's classic characters are having a resurgence in popularity thanks to the hit, The Peanuts Movie. Christmas Eve is a great time to spend with good ol' Charlie Brown and the gang. The night will kickoff with a 50th anniversary celebration at 8 p.m. followed by the classic cartoon at 9 p.m.
Mr. Magoo's Christmas Carol, 8 p.m. on CW: It wouldn't be the holidays without this animated version of A Christmas Carol. This special has great toe-tapping songs including "Ringle Ringle" and "We're Despicable." The Bishop's Wife, 8 p.m. on TCM: Robert Osborne kicks off his night of holiday classics with this 1947 movie about a dashing angel (Cary Grant) who helps the family of an overworked bishop (David Niven). Auntie Mame, 10 p.m. on TCM: This classic comedy about a young boy (Jan Handzlik) who grows up with his flamboyant aunt (Rosalind Russell) features many memorable holiday scenes. Mrs. Parkington, 12:30 a.m. on TCM: This 1944 drama stars Greer Garson as an elderly woman who tells her eventful life story one Christmas Eve. The Shop Around the Corner, 2:45 a.m. on TCM: This 1940 romantic comedy is one of the great old Hollywood films. It centers around two bickering employees (James Stewart and Margaret Sullavan) at a Budapest notions shop who are carrying on a secret correspondence. Little Women, 6:30 a.m. on TCM: This 1933 adaptation of Alcott's novel features Katharine Hepburn in a landmark performance as Jo March. Scrooge, 8:30 a.m. on TCM: This 1970 musical adaptation of A Christmas Carol features Albert Finney as Scrooge and legendary actors Dame Edith Evans and Kenneth More as the ghosts who haunt him on one fateful Christmas Eve. 3 Godfathers, 10:30 a.m. on TCM: This John Ford Western recreates the nativity story with John Wayne, Pedro Armendariz, and Harry Carey Jr. as the three Magi. I'll Be Seeing You, 12:30 p.m. on TCM: This hard to find drama starring Joseph Cotten and Ginger Rogers is about two troubled souls in wartime America who fall in love during the holiday season. The Man Who Came to Dinner, 2 p.m. on TCM: This 1942 comedy stars Monty Woolley as an acerbic New York critic who must spend Christmas with an Ohio family after he injures himself on their icy doorstep. Woolley promptly takes over the first floor of the house shouting orders, rearranging the furniture, and firing off classic lines like, "Why are you standing there like the kiss of death?" In the Good Old Summertime, 4 p.m. on TCM: This is a turn of the century MGM musical featuring Judy Garland and Van Johnson as warring employees in a Chicago music shop. This is a remake of the 1940 holiday classic The Shop Around the Corner. It Happened on 5th Avenue, 6 p.m. on TCM: This 1947 B-movie about a homeless bum (Victor Moore) and a World War II veteran (Don DeFore) who stay in a Manhattan mansion while it's owner is in the South was largely forgotten until it became a YouTube sensation in the 2000's and then began airing on cable TV. Merry Christmas and Happy New Year! Here's Frank and Bing to take us out.